The Revere Tavern dates back to 1740 and was originally known as the "Sign of the Spread Eagle". It was one of the better inns along the turnpike stretching from Philadelphia to Lancaster and catered to the more prosperous class of travelers. It later became the home of Edward V. Buchanan and his wife, Eliza Foster Buchanan, sister of Stephen Foster, the composer. Their home served as a retreat for Foster where he wrote some of his immortal songs. The building was purchased in 1854 by Edward's brother, James Buchanan, the fifteenth President of the United States. 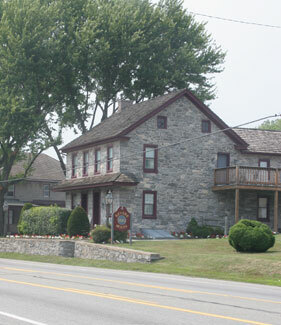 The Revere House built in 1790 is located adjacent to the Tavern. 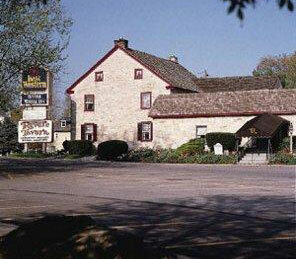 It is a completely restored limestone farmhouse and is now an inn with guest suites. The Tavern serves as its restaurant.